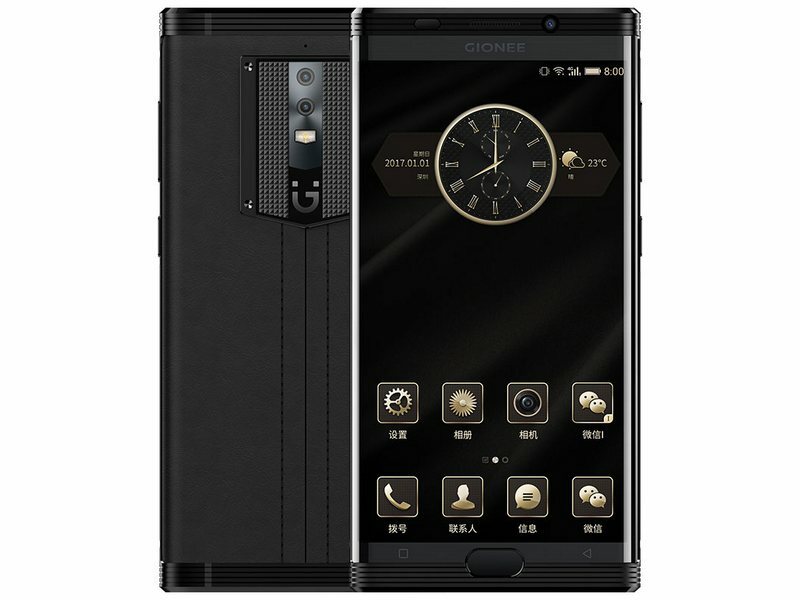 Gionee revealed its latest smartphone, dubbed Gionee M2017. the phone packs lots of RAM, impressive battery capacity and a hefty price. The battery – or better to say batteries – packs 7,000 mAh; the huge capacity is achieved by cramming two 3,500 mAh batteries in the chassis. Gionee didn’t explain how the system exactly works, but it is safe to assume that the system works similarly to portable battery packs – after the first battery dies, the second one takes over. Gionee states that the battery system can offer up to 25 hours of video playback, with Qualcomm’s Quick Charge 3.0 support. Other specs include a large, dual-curved, QHD (2,560 x 1,440 pixels) AMOLED 5.7-inch screen, and a quality metal chassis. The back of the phone is coated with leather, and the screen is protected with tough sapphire glass protection that should be extremely resistant to scratches and drops. Although the phone packs 6 GB of RAM and a QHD resolution screen, the chipset used is a mid-range Snapdragon 653 (4×1.95 GHz Cortex-A72 + 4×1.44 GHz Cortex-A53, Adreno 510 GPU). Gionee M2017 packs 128 GB or 256 GB of storage space, without an SD card slot. On the back, there is a dual-camera setup (12 MP plus 13 MP) and on the front, you can find an 8 MP snapper. The smartphone runs Android Marshmallow, along with Gionee’s Amigo OS 3.5 IU. A fingerprint scanner is placed under the display. Gionee decided to ditch the 3.5 mm audio jack, another company to ditch the good old headphone jack. The phone is available in two colors: Gold and Black. The price is pretty high. The standard model sports a price of 6,999 yuan (around $1,000), while the premium model, with an Italian custom alligator leather back, sells for 16,999 yuan, or about $2,446. The prices are for 128 GB models, it is unknown how much the 256 model will cost. The phone is available for preorder in China, it is unknown when (and if) the smartphone will become available in other markets.